In a surprise event, 96 rare baby sea turtles, known as Kemp’s Ridley Sea Turtles, hatched and crawled to the ocean on a Rockaway beach this week according to the National Park Service. The Kemp’s Ridley Sea Turtles are some of the most endangered and smallest species of sea turtles and are typically found in the Gulf of New Mexico. The female Kemp’s Ridley crawled on the beach on the Rockaway Peninsula and built her nest in July according to Rafferty. The eggs were saved from High Tides by NPS workers, who were able to save and incubate 110 eggs. 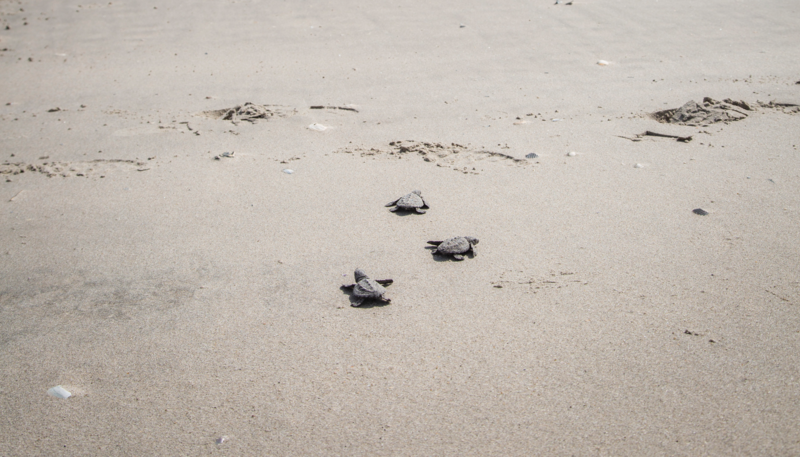 Of the 110 eggs that were saved, only 96 hatched and were able to crawl back into the Atlantic Ocean.